The regular wine column every weekend in The Vancouver Sun newspaper by my long time good friend Tony Gismondi just raised some interesting issues. As we all know It is extremely difficult to make a great wine anywhere in the world. The climatic conditions can vary from marginal ripeness like for sparkling wine in England (remember Nyetimber in West Sussex declaring no 2012 vintage) to excessive heat in parts of Barossa Australia (will this shiraz need acidification?). It is impossible to obtain perfect growing conditions every year even in Bordeaux or Burgundy. Most knowledgeable consumers are looking for some definition or “sense of place” in their wine. Just letting the terroir speak can sometimes be overlooked by zealous winemakers. One of the best tests of quality for me is to decide whether the wine is balanced and delicious – inviting you to go back and drink more. This important measure is hard to judge in a wine competition where you are not swallowing the wine for that test but spitting it out. There has been a tendency by some judges to go for the biggest, richest, openly expressive higher alcohol wines. Remember less is often more in finding that “finesse and grace”. I personally have been an outspoken champion of this latter point of view in wine competitions for decades. 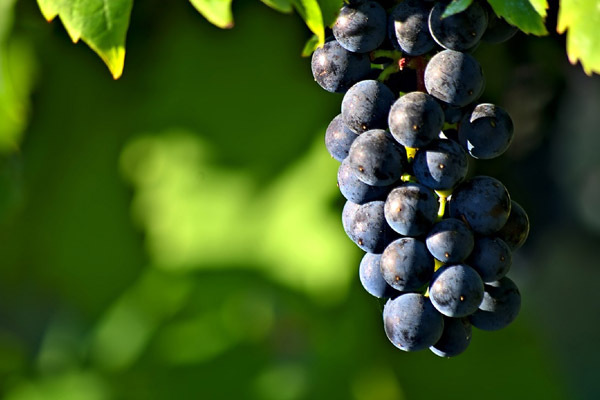 I am encouraged to see this article stating that the new “goal is to bring those grapes to perfect ripeness in almost every vintage and to harvest red fruits over black, finesse over power, leading to drinkability over all other attributes.” Hopefully this will lead to better more distinctive complex drinkable wines. Bravo! What are your thoughts on red fruits vs. black fruits or what attributes you look for in a red table wine? What type of grape do you prefer? Good topic. I agree very much with the thrust of the article and your comments. Too often judges/consumers lose the perspective that fine wine should be an accompaniment to food. Whilst sometimes the wine can take the leading role and the food the supporting there should still be, in my opinion, a certain degree of balance and synergistic harmony. Many of the power packed “Black Fruit”wines that have been championed by certain leading critics have lead to the production of “show” wines that stand out in large line ups but to my taste rarely work with fine cuisine other than maybe char-grilled red meats. Compare CNdePs or Ozziesof the 60s, 70s and 80s with the Roid like special cuvees coming out these days at over 16% alcohol. The former you could drink with lighter flavoursome meats such as guinea fowl with great pleasure. These days even the charred rib eye beef is often over powered. This is without getting into the more contentious area of terroir reflection. Let’s hope that we see a growing trend back to more balanced food friendly wines.